Will errors result in serious damage to the client's reputation? Katakana only navigations are rare, but may be used when specialized terms are in the majority, or when a smooth texture is desired. It is more accessible to general audiences than English, but can cause copy-fitting headaches, since Katakanaized English is usually longer than English or the native Japanese written in Kanji. As with all Katakana and Hiragana, heavy kerning is necessary to achieve a plesant visual rhythm, but avoid horizontal compression of overlapping of the letters. Unless Latin typography is a central device in your design, Latin typeface decisions should be left until after the Japanese face is chosen. I doubt you'll have any trouble choosing an appopriate Latin companion face from the thousands available. But while weighing the intricacies of your favorite blackletter against the pedestrian charm of, say Hobo, try to remember who your designing for. Though there is no reason to abandon careful process, many historical and cultural subtleties will be lost on Japanese audiences. Avoid any wankery that involves "challenging legibility"; the appearance of English presents enough of a challenge for the Japanese reader. Since the language attribute remains unsupported by popular browsers like Internet Explorer, language-specific styling ability will be determined by how the two languages are integrated and whether the content is dynamically generated. If English appears inline and is dynamically generated the possibilities will be limited. Start by specifying Latin fonts first in your CSS font list, followed by Japanese. 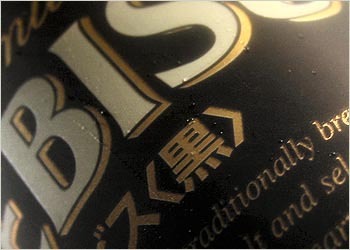 Since Japanese fonts contain Latin subsets, any Japanese font specified before the Latin font will override it. Though there are few reliably available Japanese typefaces available for HTML text, each contains a hidden cache of typographic treasure. Analphabetic glyphs are more abundant and varied than in Latin typefaces, including a variety of parentheses, bullet-like circles, stylized digits, and other specialized symbols. Some copywriters may use these with great enthusiasm or not at all. As a designer it's your responsibility to redress the text as needed, but be sure to reconfirm with the author that your typographic decisions do not distort the meaning of the text. Also be sure the symbols you choose are included in the character set specified in the head of your document. If not included in the set, some symbols may render as something completely different, or not at all. The unicode set utf-8 is more inclusive than the more popular shift_JIS. Chris Palmieri is a partner at AQ in Tokyo, Japan.